From that momentous day on the bridge over River Seine where Groom Lorenzo’s romantic proposal transpired, the planning had begun. 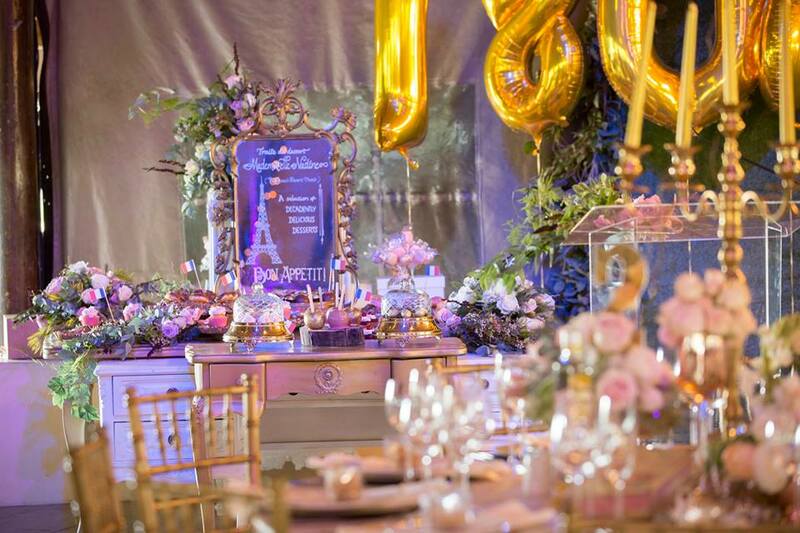 Of course, Paris, the French capital with its timeless glamour and glitzy nightlife, was easy to envision for her special day. 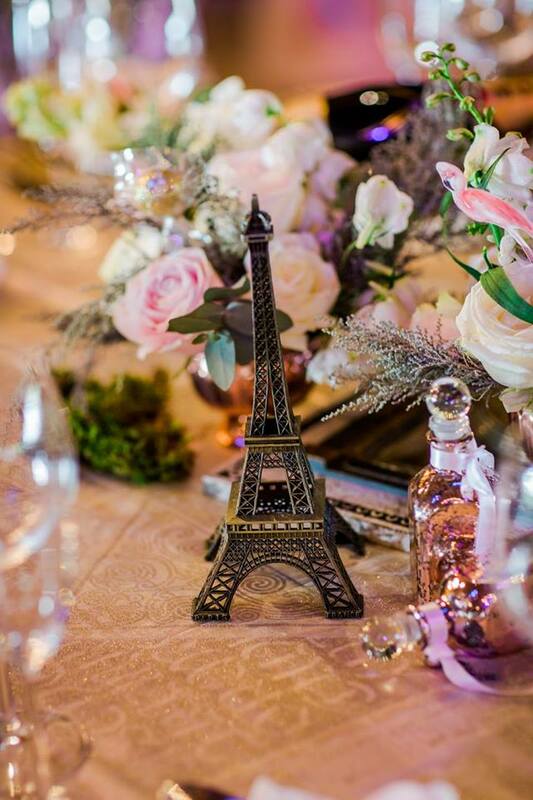 Mademoiselle Nadine began planning the celebration to incorporate all things romantic, delightful, charming and magical to echo the ambience of Paris at night. 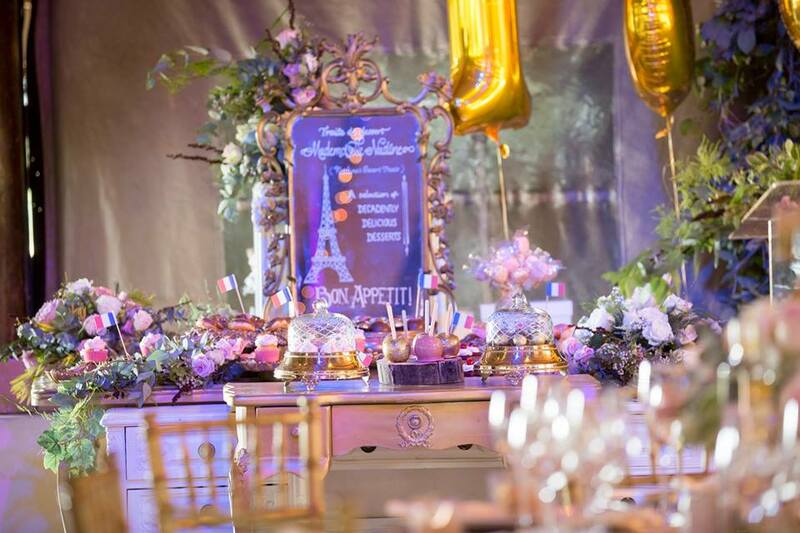 The Couple’s combined love of French cuisine, music, lifestyle and the city’s magical tenor was the basis and foundation for the styling of their long-awaited wedding day. 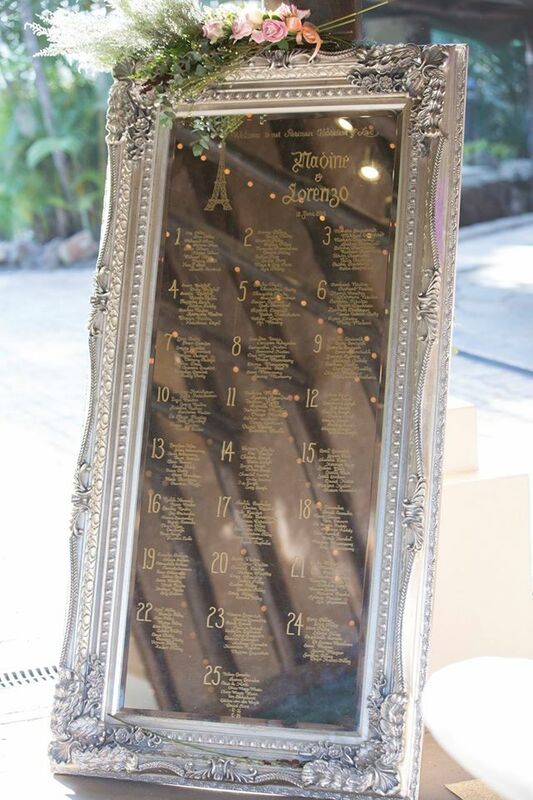 Long before she consulted with us, this Bride had the entire day planned! 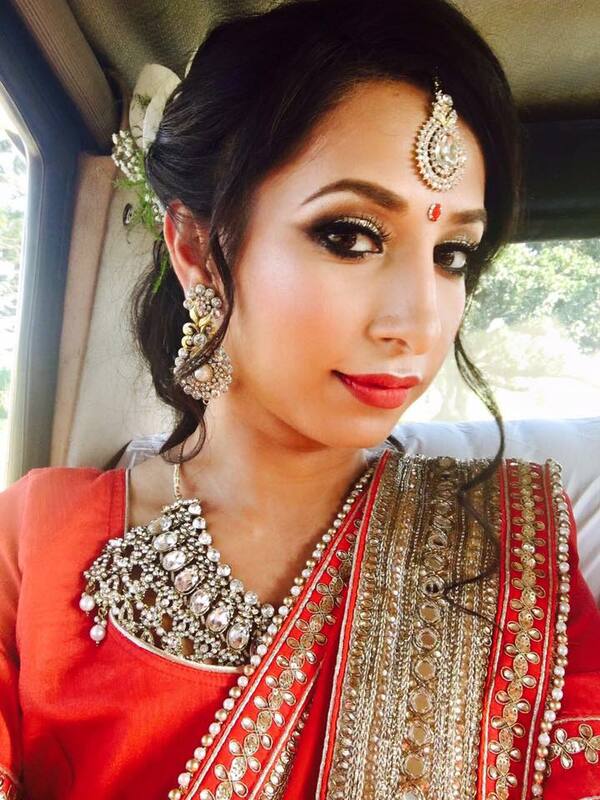 This Bride was the Official Planner, so it’s hard for us to take much credit. But we will take some. 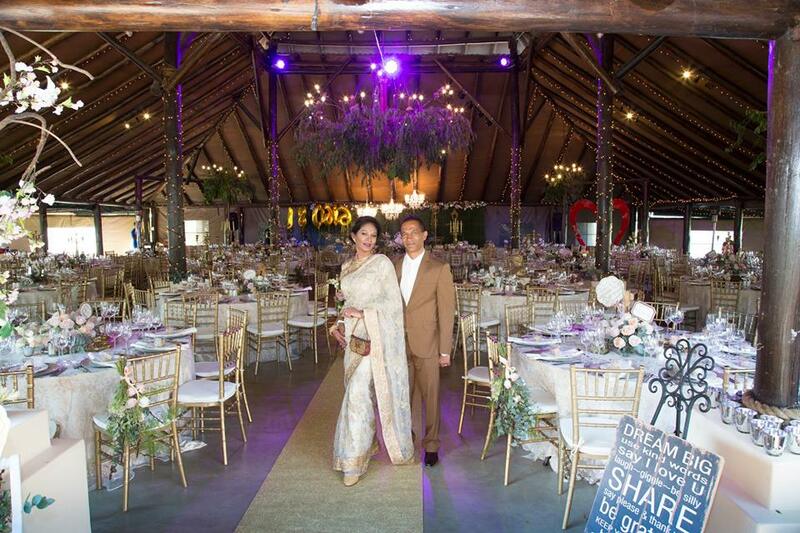 Nadine is an only child to her stylish and immaculately groomed parents, Leon and Rae Pillay, owners of Lihlelight, who wanted to give their precious daughter the wedding of her dreams - one which she had been imagining for eight years. Actually since she was a little girl. 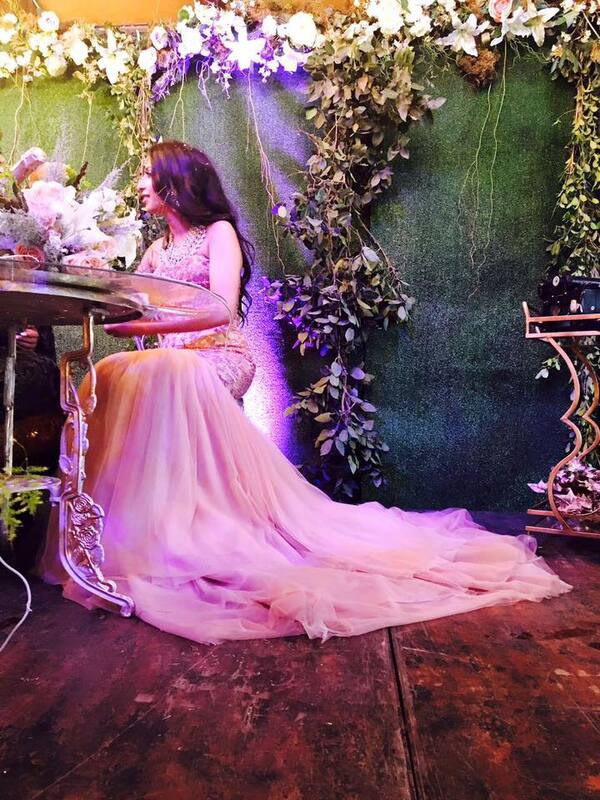 We were honoured when Nadine looked to us to assist for the planning and styling of her special day. 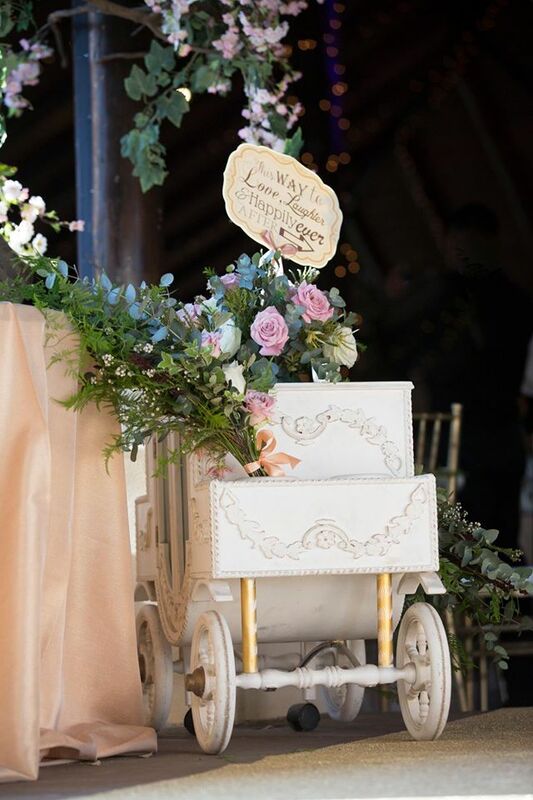 Her charming and charismatic parents were a delight to work with - parents who were clearly very emotional about their little Princess. No expense was spared, and her eloquent mom and dad requested (in whispers to us at family meetings) that all their daughter’s expectations were to be met with the highest standards and utmost care. 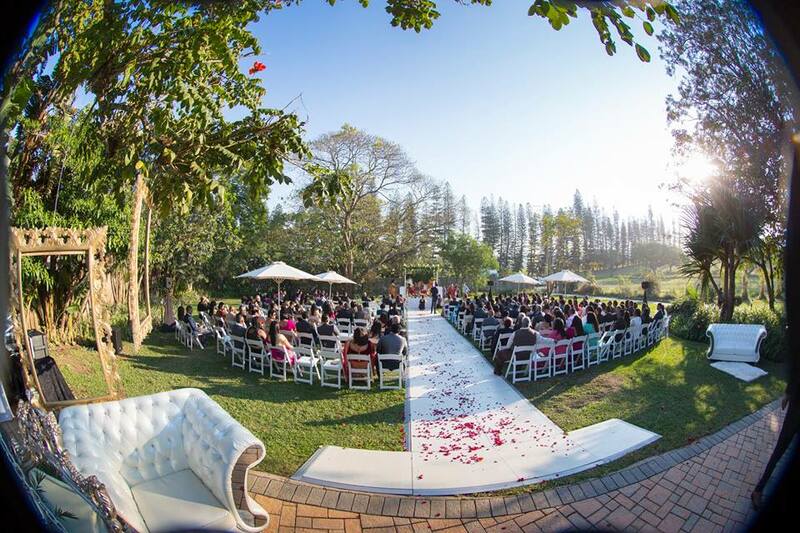 Finance was of the least concern for esteemed businessman Leon Pillay and his gorgeous wife, and honestly this wedding was not about anything else, but about giving their daughter the wedding of her dreams – whatever the cost. And so this journey began, with Bride Nadine signalling and pointing us in the direction of France! “Transmettrons nous allons” - Forward we go! 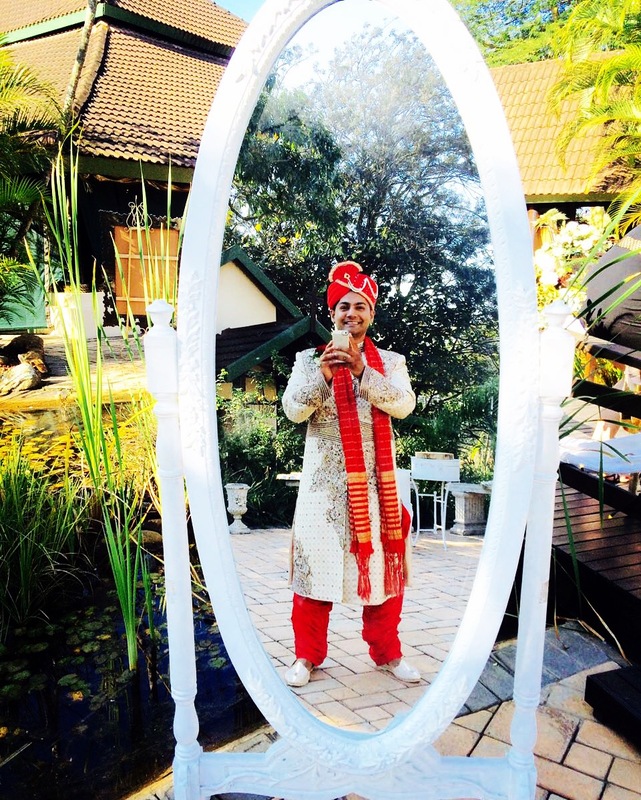 Our champagne meetings with this delicate bride at The Oyster Box Hotel were delightful and often filled with tears, sometimes with nostalgia, always with laughter and a keen sense of direction. Nadine is the ultimate planner, the visionary, the go-getter. Always forgiving, always aligning, forever Nadine. Our handsome Groom “Lori” as he is affectionately known is a cool cat. A professional Karate Instructor with a degree in Psychology who remained calm and composed throughout the planning process - this was Lori! 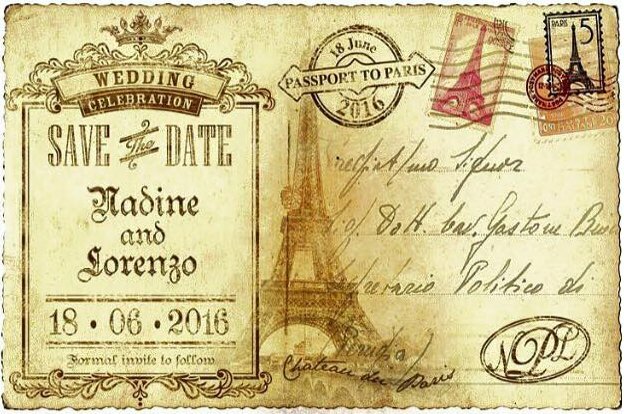 We began with the “Save the Date” which was fashioned to appear as an authentic, vintage French postcard and was the first clue in preparing her guests for the scene on 18th June. 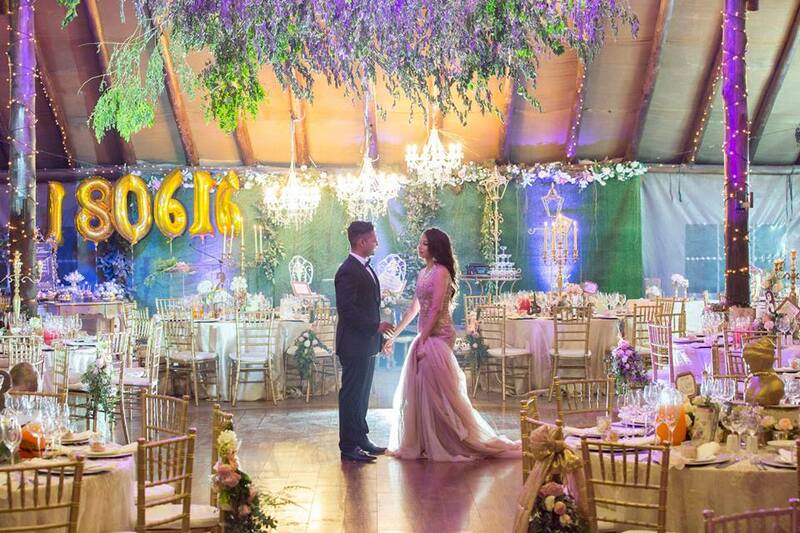 Unbeknown to the cherry-picked guests, they were to be treated to Event Styling sumptuous “Wedding of the Year.” This had already been decided months in advance by Team Event Styling since we all knew this was not your average Bride as we embarked on this journey with her. 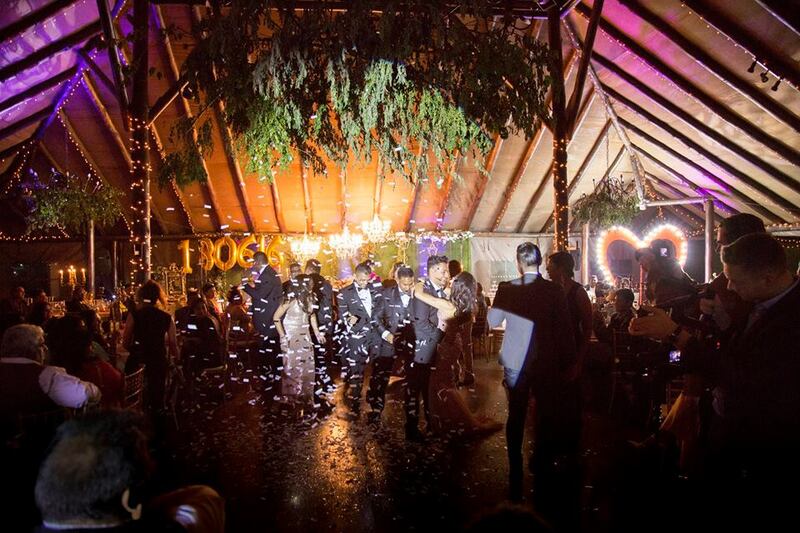 This was an epic wedding celebration in the making and we were not about to let this opportunity slip away. The day emerged and we could not have prayed for better weather. The Universe was kind to us all, and had chosen to grace us with a perfect Summer’s day in the middle of Winter! Mademoiselle Nadine was the quintessential bride. A natural beauty with overflowing locks, fairy-like hands, a flawless complexion coupled with a delicate waist and hourglass figure to die for! She was all that and more. Speaking to Nadine in person just once, will quickly determine her capacity as an acute, savvy business-woman, who has a unique sense of style and an unconventional sense of humour. 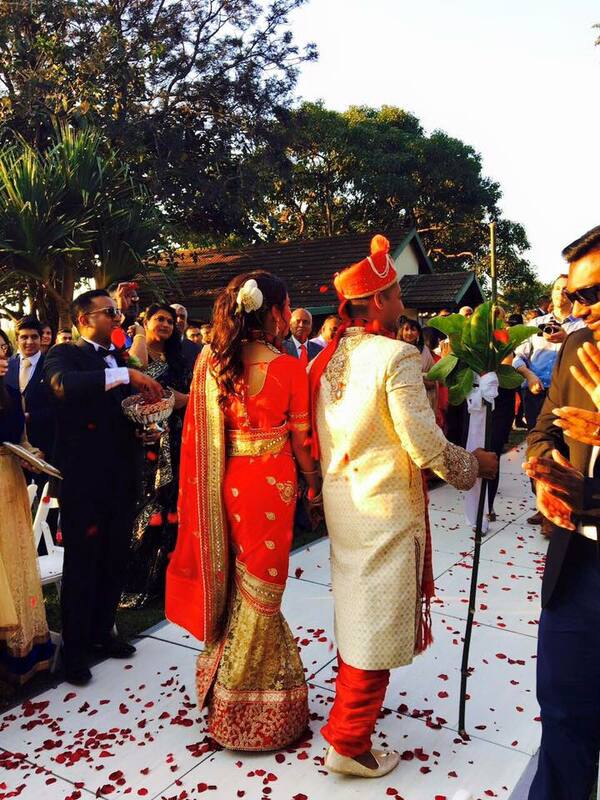 A dynamo Bride packaged in quirk with a heart of gold. 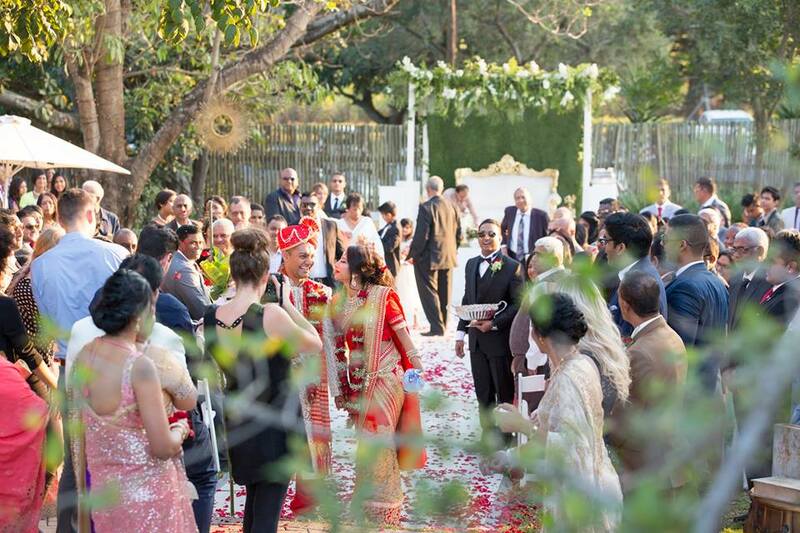 The traditional Eastern ceremony took place in the garden under cloudless skies where the bride walked down an ivory aisle set against the backdrop of green hills. 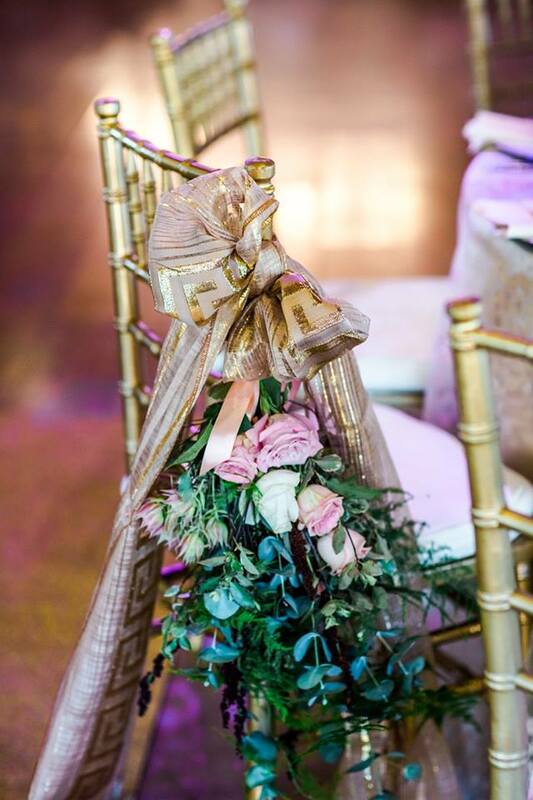 Just a whisper of a wind rustled the trees as guests took their seats on white Wimbledon chairs. Later the ivory aisle was embellished with an abundance of petals as guests showered the newlyweds with scarlet petals harvested from imported Ethiopian roses. 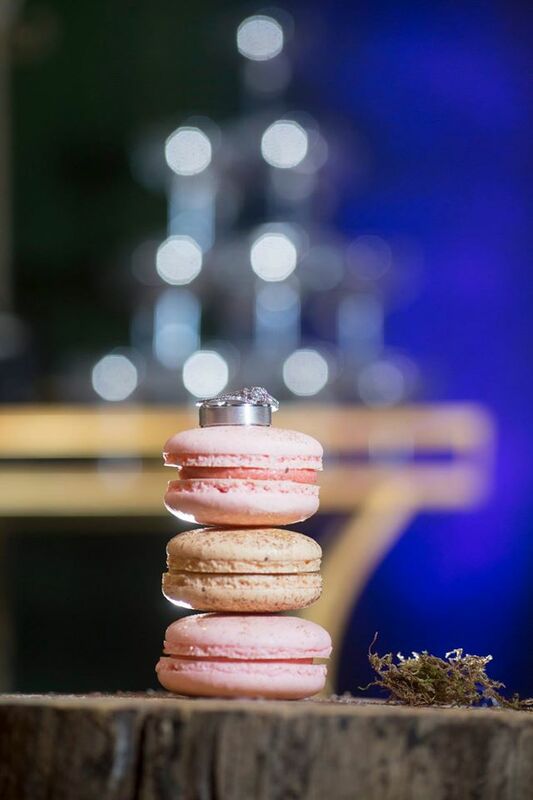 After the ceremony, guests mingled on the lawn and were treated to a constant flow of teas, coffees and hot chocolate while the “naked & berried" wedding cake was sliced and served butler-style. 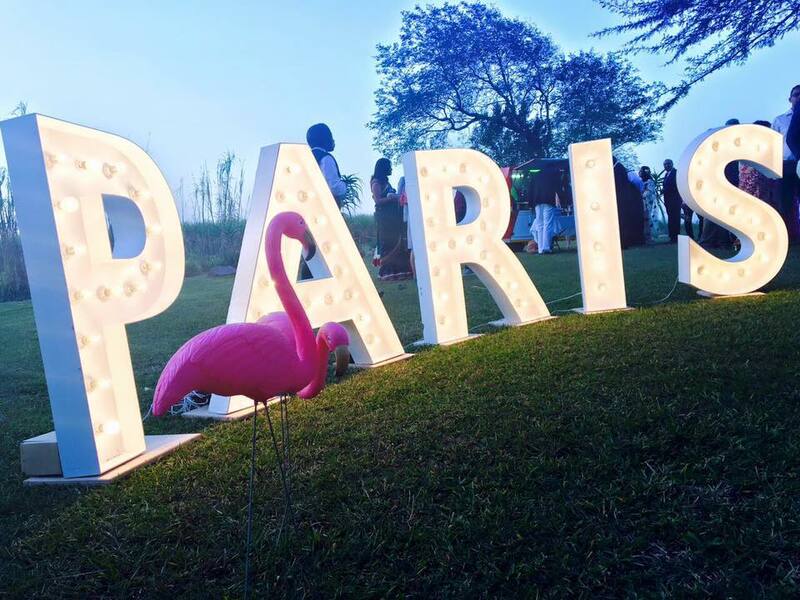 Giant Marquee letters spelt out “PARIS” in the garden, ornamented with vintage furniture, gilded bird cages suspended from trees, mirrored frames and inviting chaise lounges that set the scene for a night in Paris. 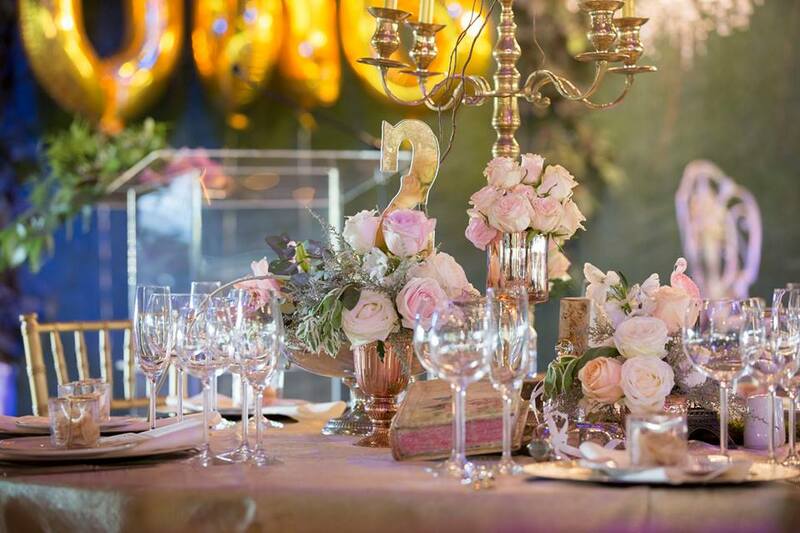 A Team of specialist Videographers, Vision on Fire, were especially flown in from Cape Town to capture this show-stopping production. A blend of creative geniuses coming together, collaborating to achieve one common goal - to capture the essence of this long awaited day. 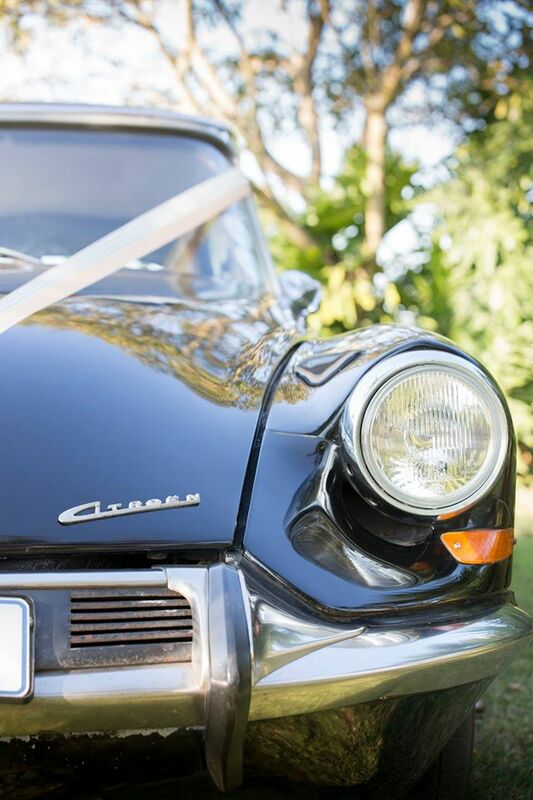 Photographers David Rees and Lauren Setterberg who were the unofficial photographers for the day, captured the décor and other fine details presented by Event Styling, which included a vintage Citroen on loan by a close friend of the family. 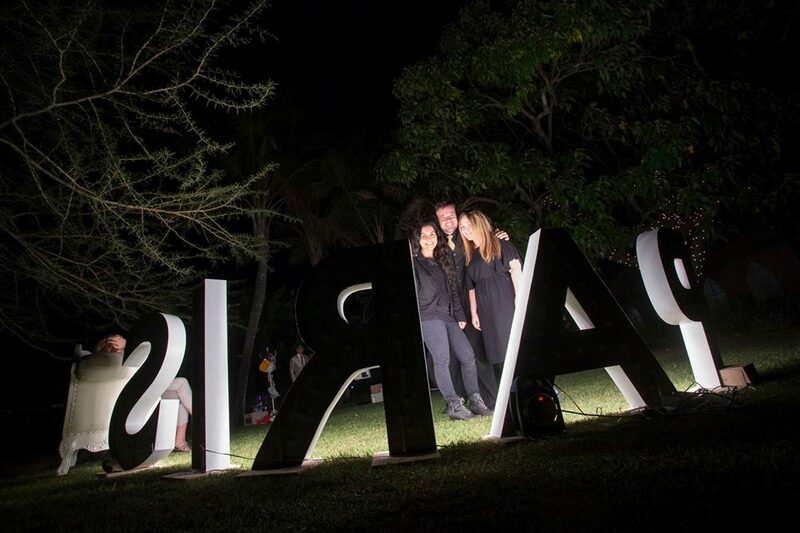 It’s not every day that we get to see “Paris” or scenes from it in real-life, so naturally guests took every possible advantage of a photo opportunity with selfies being Instagram’d and Facebook’d all the way into the night. 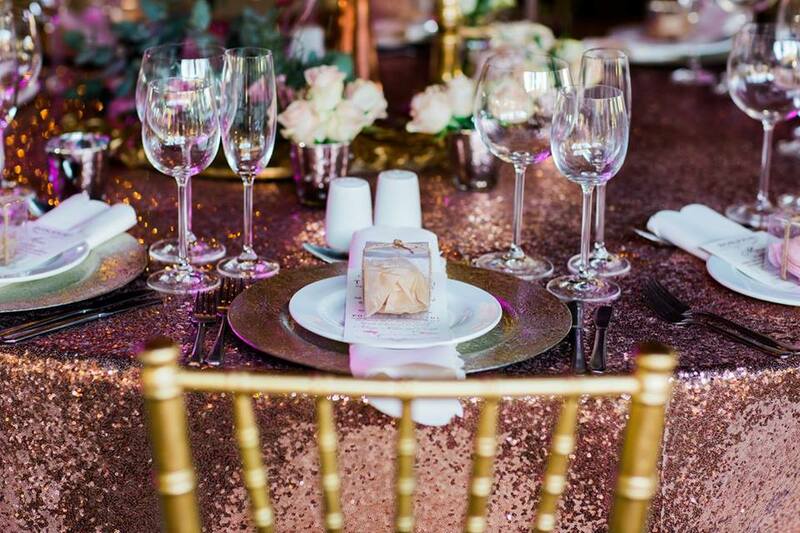 An antique shimmering gold imported carpet beckoned guests into the reception venue which was completely transformed into a scene straight out of a fairy tale book. This really was the stuff dreams are made of! 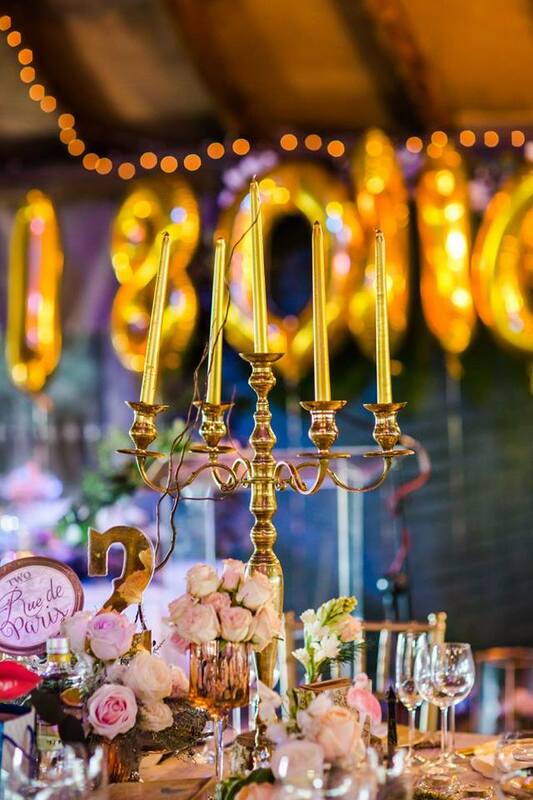 Inside the reception venue, a huge chandelier draped with trailing branches and leaves lit up the glittering tables below, decorated with gilded candelabras, blush and ivory blooms in champagne bowls, sequinned table clothes and miniature Eiffel Towers. 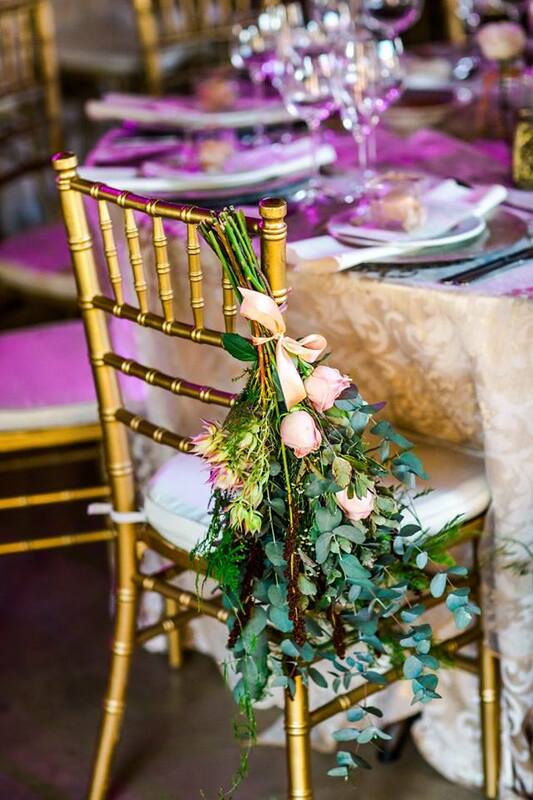 Guests found their seats, Chiavari gilded chairs with chair corsages at French labelled tables, by consulting a splendid vintage mirror painstakingly embellished by Durban’s renowned Calligrapher. 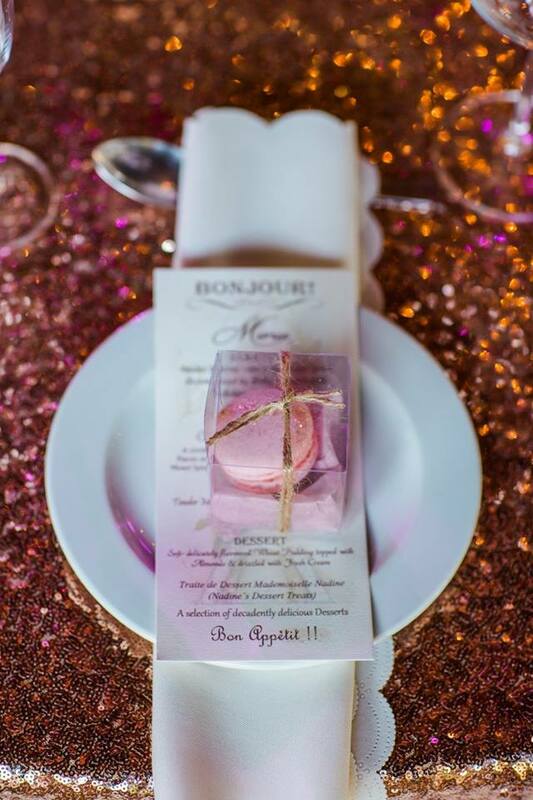 Guests were delighted with the attention to detail presented at each place setting, which the Bride and Groom graced with a personal note, together with a decadent favour- a gold-dusted Parisian macaron beautifully packaged in a transparent box. 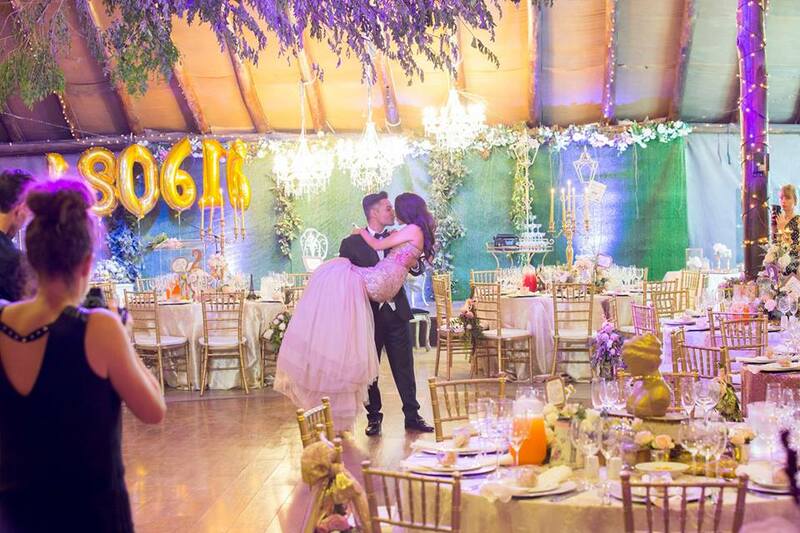 Touches of quirk like the wedding date echoed with over-sized gold balloons, a giant red heart, pink flamingos and miniature French flags made this wedding truly special and personal to Nadine and Lorenzo. The naked cake by Durban baker Taryn Smith of Smith’s Bakeshop was festooned with berries and rosebuds and showcased on a gorgeous French pedestal and was enjoyed along with a selection of desserts including Smith’s Bakeshop glitter toffee apples, sweetie-pies, chocolate brownies, Daniela’s Parisian macarons, and bedazzled donuts from Wicked. 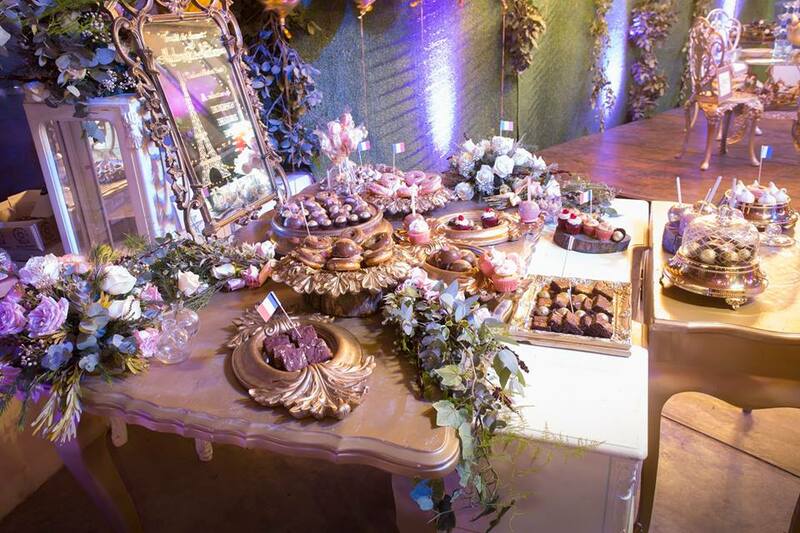 All were exquisitely displayed on a dedicated dessert table named after Mademoiselle Nadine. 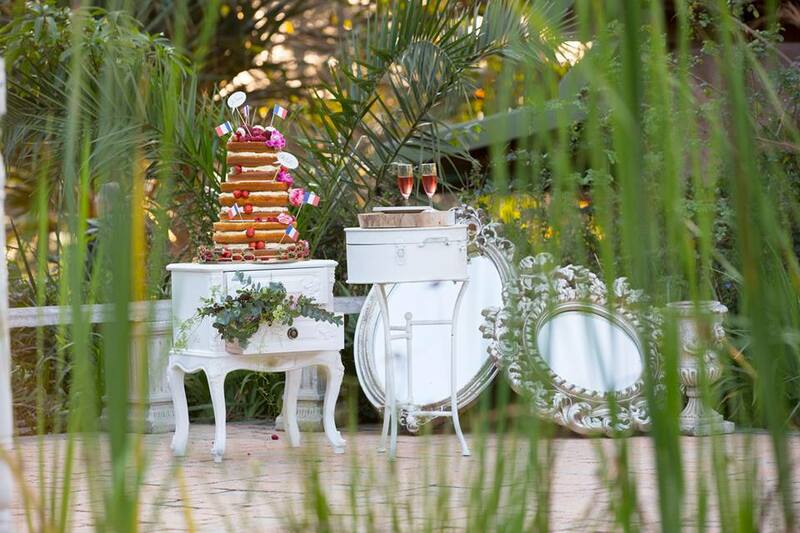 - “Traite de dessert Mademoiselle Nadine” (Nadine’s Dessert Treats). 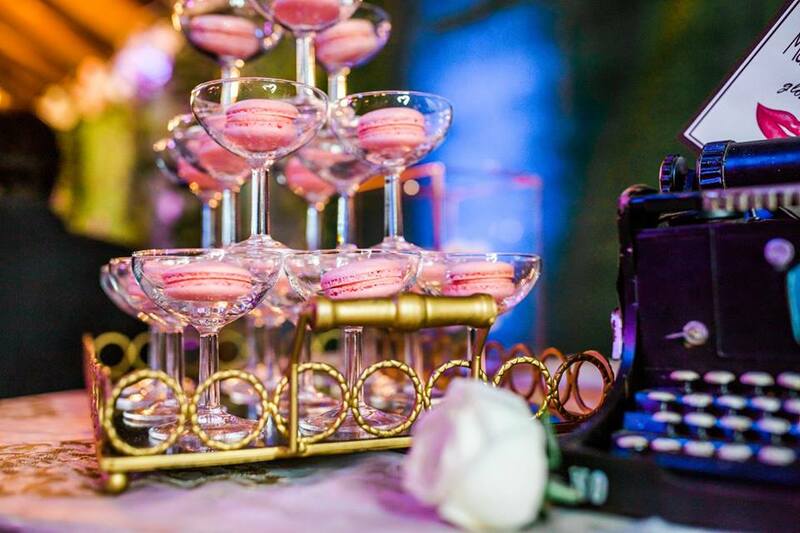 Another glitzy touch was a Champagne tower filled with blush macarons, with Moet et Chandon and Veuve Cliquot close at hand. A special bottle was ceremoniously sabered through the art of Sa’brage with an authentic Katana sword by none other than the Groom himself. 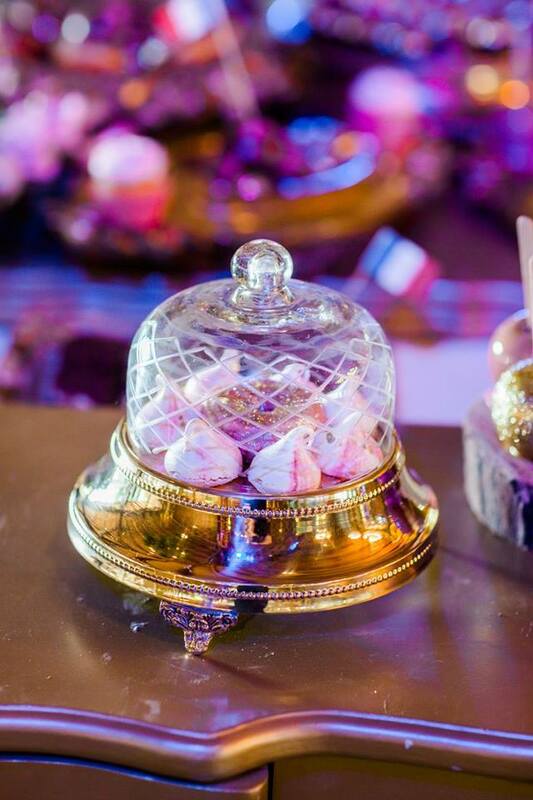 How fitting for a truly French tradition, we are forever grateful to Napoleon Bonaparte! 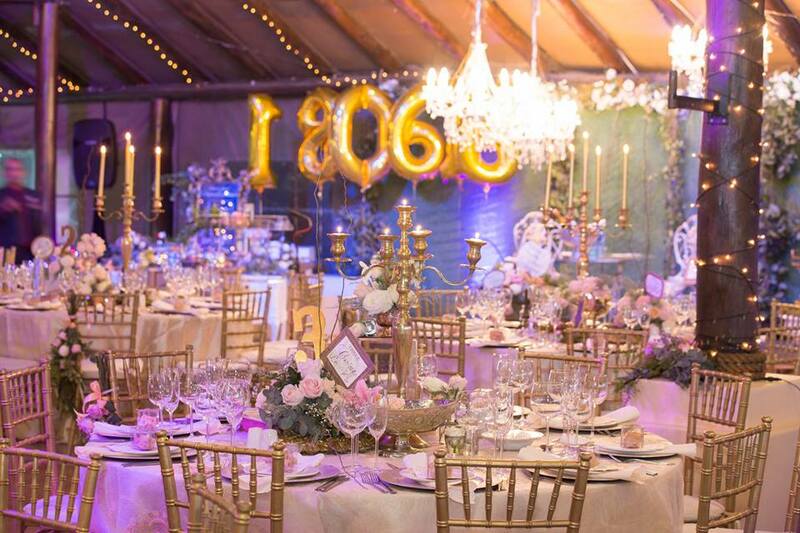 The main table was enchantingly French, brought to life by a trio of suspended crystal chandeliers and Parisian streetlights against a backdrop of overflowing greenery and fairy lights. 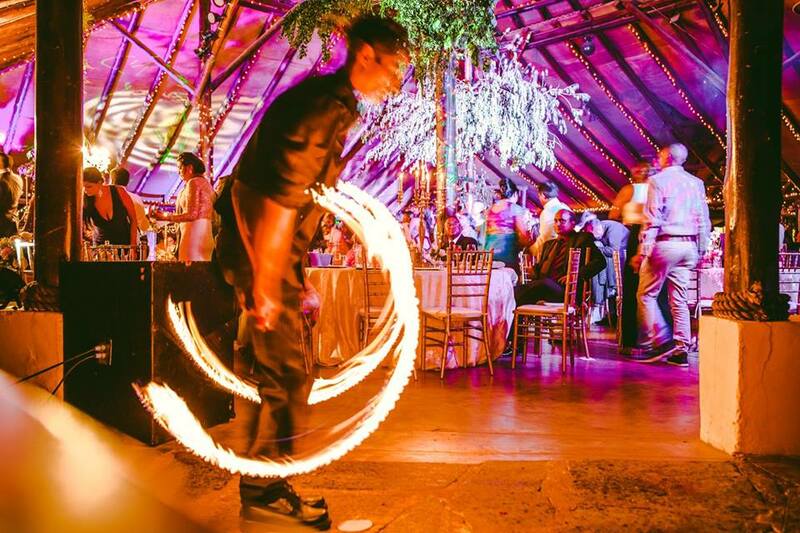 The bridal party made their way into the reception and was serenaded by a pair of fire dancers, and a glitter-bombe which also heralded the opening of the dance-floor. 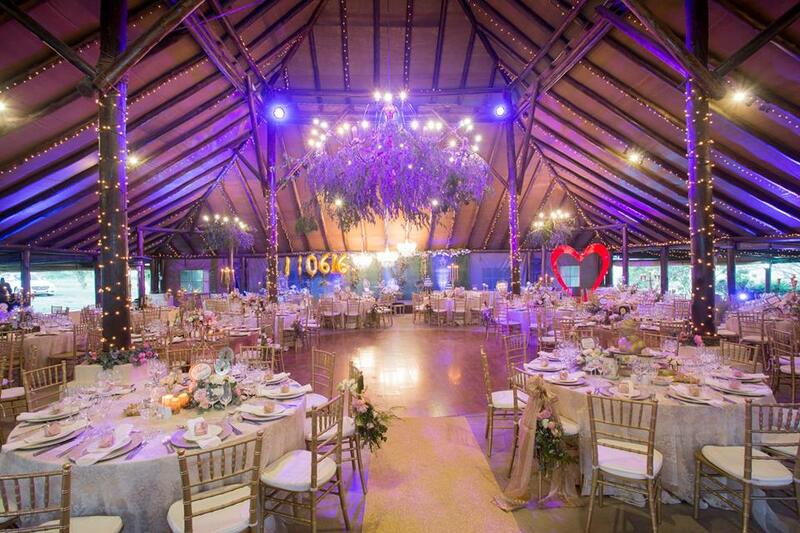 Chico Muyo serenaded guests during dinner, with the dance-floor being lit up by starlight of sparklers later that night. Guests danced the night away while visiting the Instabooth for fun photographs as a keepsake of a magical night. 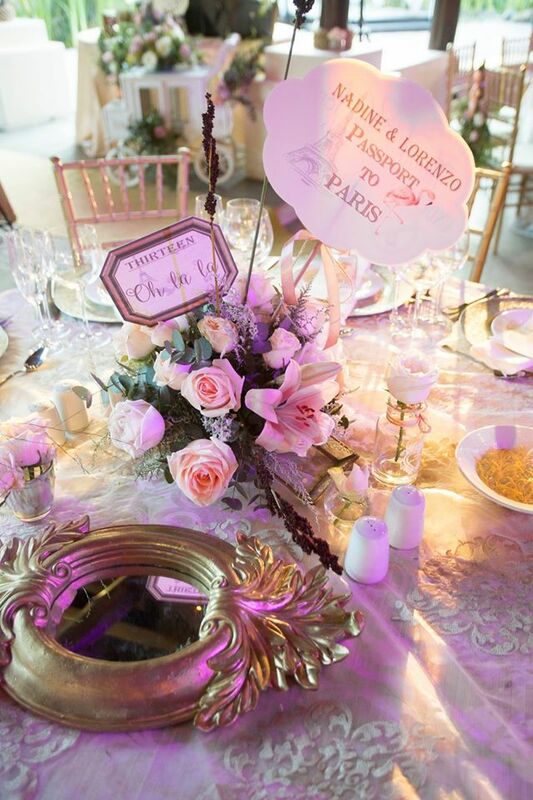 The bride and her “favourite person”, who will be travelling to London on their honeymoon, hope to travel to Paris every year on their anniversary to revisit the places which inspired their romantic, showcase wedding of 2016. That night, the grandest moment of her life, the one thing I remember Bride Nadine whispering to me whenever we stole a moment together, is - “I can’t believe this is happening..…” We have been confidants, sisters-in-style, strangers coming together in a world envisioned by only us - at least for a few short months. Our late night communications, combined Pinterest boards, Instagram visuals and flowing emails spun together a vision so clear and aligned, that a perfectly Parisian fantasy emerged in the still of the night, which was unmistakably Mademoiselle Nadine.